We are very excited to host your special occasion at Rutgers Hillel. To reserve your space, please use the form below. For any questions, please contact Barbara Cohen, barbarac@rutgershillel.org or 732-545-2407 ext 24. Please be aware that we are a NUT FREE facility. 4 hours of Security Personnel included in all events. For security reasons, we require all customers to purchase additional security hours in this form if event exceeds for 4 hours. Note: Our building closes at 10pm Monday-Thursday and Saturday nights. On Sundays, it closes at 9:30pm. If you plan to have your event go later than when we are normally open, your request will be subject to approval. Approximately how many people will you expect to need parking? We provide round tables, rectangular tables, and chairs. Please arrange with our caterer any additional furniture for your event. 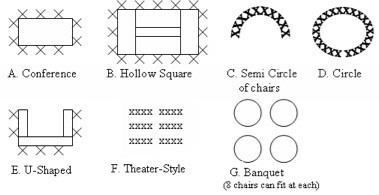 How many chairs would you like in your set up? It is the [Town/City/Agency]’s desire that all patrons who periodically use a [Town/City/Agency] building, room, land, auditorium, gymnasium, arena, stadium, field, area, or other [Town/City/Agency] property (the “Facility”) are able to enjoy the Facility. This agreement has been set in place to achieve that goal. The person signing this agreement and the organization on whose behalf the Facility rental is being made (collectively the “Renter”) are responsible for compliance with this agreement. All Renters are required to read and sign the Facility Use Agreement as part of the rental. Please read carefully, fill out Facility, Renter, and event sections, initial at the bottom of each page, and sign in the signature page at the end of A. RESERVATIONS 1. Renters desirous of a Facility should make reservations well in advance of the intended date of use because demand for facilities is high and dates fill quickly. 2. A Facility is not considered rented until (1) Renter delivers to the [Town/City/Agency] the Facility Use Agreement, rental fee, deposit, certificate of insurance, written evidence of permits and licenses, and any other items deemed necessary by the [Town/City/Agency]; and (2) the [Town/City/Agency], in its sole discretion, approves such rental in writing. 3. A person who is at least eighteen (18) years of age must sign this agreement. If alcohol is served, a person who is at least twenty-one (21) years of age must sign this agreement. 4. Renter shall provide the [Town/City/Agency] Manager or his/her designee with a single contact who is to serve as the representative for Renter’s activities. 5. Renter shall be responsible for securing all required permits and licenses. 6. The facility shall be used for the purpose stated in this agreement and no other use will be permitted. 7. Renter shall not use the [Town/City/Agency]’s name to suggest endorsement or sponsorship of the event without prior written approval of the [Town/City/Agency] Manager or his/her designee. Renter’s publicity of the event shall clearly and accurately identify the name of the sponsoring organization or individual. 8. Renter shall permit any [Town/City/Agency] officers, employees, or agents to visit the event described in this agreement. 9. Renter shall be responsible for picking up the keys to the Facility, if any, from the [Town/City/Agency] prior to the event. Renter shall return keys immediately following the event to the [Town/City/Agency]. 10. Under no circumstances shall Renter sublease or allow any other organization or individual to use the Facility for the period for which Renter has contracted. Renter is an independent contractor and not the agent or employee of the [Town/City/Agency]. B. FEES 1. The [Town/City/Agency] may require a rental fee and/or a deposit from Renter. 2. Any person or agency holding a reservation for the use of [Town/City/Agency] facilities and desiring to cancel such reservation may be subject to the withholding of a portion of or the entire rental fee for the Facility. 3. The [Town/City/Agency] may charge an additional amount of double the regular rental rate for any event continuing past the ending time stated in this agreement. 4. Renter is responsible for any lost keys, and any costs that the [Town/City/Agency] might incur to replace and/or re-key the Facility. 5. In the event the Facility is left damaged, Renter shall be charged for any and all janitorial and/or repair fees incurred by the [Town/City/Agency] as a result of same and these fees shall be billed to Renter. C.	INDEMNIFICATION AND INSURANCE 1. Renter shall indemnify, defend, and hold harmless the [Town/City/Agency], its officers, employees, and agents from any and all losses, costs, expenses, claims, liabilities, actions, or damages, including liability for injuries to any person or persons or damage to property arising at any time during and/or arising out of or in any way connected with Renter’s use or occupancy of the Facility and adjoining property, unless solely caused by the gross negligence or willful misconduct of the [Town/City/Agency], its officers, employees, or agents. 2. Renter shall procure and maintain general liability insurance against any and all losses, costs, expenses, claims, liabilities, actions, or damages, including liability for injuries to any person or persons or damage to property arising at any time during and/or arising out of or in any way connected with Renter’s use or occupancy of the [Town/City/Agency]’s facilities and adjoining property in the amount of $1,000,000 (one million dollars) per occurrence. Such insurance shall name the [Town/City/Agency], its officers, employees, and agents as additional insureds prior to the rental date of the Facility. Renter shall file certificates of such insurance with the [Town/City/Agency], which shall be endorsed to provide thirty (30) days notice to the [Town/City/Agency] of cancellation or any change of coverage or limits. If a copy of the insurance certificate is not on file prior to the event, the [Town/City/Agency] may deny access to the Facility. 3. Renter shall report any personal injuries or property damage arising at any time during and/or arising out of or in any way connected with Renter’s use or occupancy of the [Town/City/Agency]’s facilities and adjoining property to the [Town/City/Agency] Manager or his/her designee, in writing and as soon as practicable. 4. Renter waives any right of recovery against the [Town/City/Agency], its officers, employees, and agents for fires, floods, earthquakes, civil disturbances, regulation of any public authority, and other causes beyond the their control. Renter shall not charge results of “acts of God” to the [Town/City/Agency], its officers, employees, or agents. 5. Renter waives any right of recovery against the [Town/City/Agency], its officers, employees, and agents for indemnification, contribution, or declaratory relief arising out of or in any way connected with Renter’s use or occupancy of the Facility and adjoining property, even if the [Town/City/Agency], its officers, employees, or agents seek recovery against Renter. D.	SECURITY 1. The [Town/City/Agency], at its sole discretion, may require a certain number of security officers for the event. Renter shall be responsible for procuring and paying for security officers through the [Town/City/Agency] or a private security agency. 2. Renter is solely responsible for supervising all individuals at the Facility and adjoining property during the event. The [Town/City/Agency] is not responsible for providing this supervision. However, the [Town/City/Agency] may evict individuals from the Facility during the event if their conduct is not in the best interest of the public or is deemed to be detrimental in any way. E.	SET UP / CLEAN UP / DECORATIONS 1. Renter, caterers, bands, transportation of rental equipment, and related individuals and activities will not be permitted access to the Facility prior to or after the event time period. Renter shall be responsible for arranging access during the time requested for entry and exit of the Facility. 2. Renter shall not prepare or decorate the Facility prior to the event start time, unless Renter provides rental fees, deposits, and insurance for the time of the preparation and/or decoration. 3. Renter shall not drive or permit to be driven nails, hooks, tacks, screws, poles, stakes or other forms of fasteners into any part of the Facility and shall not make or allow to be made any alterations of any kind therein. 4. Renter shall be responsible for all clean up of the Facility, including adjacent grounds, at the end of the rental. Renter shall pick up, bag, and remove all trash generated by all activity in any way connected with its use of the Facility, leaving the Facility clean and free of all trash and litter. Renter shall also leave all fixtures, if any, in good working condition. 5. Renter shall not store any equipment or materials at the Facility or adjoining property without the prior written approval of the [Town/City/Agency] Manager or his/her designee. 6. Renter shall be responsible for any and all damage to the Facility and/or its contents during use. In the event damage occurs or excessive cleaning is necessary, Renter shall be charged for any and all janitorial and/or repair fees incurred by the [Town/City/Agency] as a result. F.	EQUIPMENT / ACCESSORIES 1. Renter shall not remove, relocate, or take [Town/City/Agency] property outside of the Facility for any reason without the prior written approval of the [Town/City/Agency] Manager or his/her designee. 2. Renter shall not use [Town/City/Agency] equipment, tools, or furnishings located in or about the Facility without the prior written approval of the [Town/City/Agency] Manager or his/her designee. 3. Renter shall not drive motorized vehicles on field or green space. 4. The [Town/City/Agency] does not provide audio/visual systems, public address systems, spotlights, floodlights, or projectors. Renter, at its own cost, may bring these systems into the Facility for their use. 5. Renter shall secure the approval of the [Town/City/Agency] before using audio/visual systems, public address systems, and live or recorded amplified music. Renter shall not record, televise, or broadcast the event or any portion thereof without prior written approval of the [Town/City/Agency] Manager or his/her designee. G.	MISCELLANEOUS 1. Renter shall comply with all local, state, and federal laws and regulations related to the use of the Facility. 2. Renter shall not admit a larger number of individuals than can lawfully, safely, and freely move about the Facility. 3. Gambling of any kind is not permitted at the Facility 4. Smoking is not permitted at the Facility. 5. No animals are permitted at the Facility, with the exception of guide dogs. 6. If Renter violates any part of this agreement or reports false information to the [Town/City/Agency], the [Town/City/Agency] may refuse Renter further use of the Facility and Renter shall forfeit a portion of or all of the rental fee and/or the deposit. 7. The [Town/City/Agency] may impose additional requirements as deemed necessary to protect the health, safety, and/or welfare of the community. 8. Any person aggrieved by the [Town/City/Agency]’s decision with respect to this agreement may appeal to the [Town/City/Agency] Manager or his/her designee in writing no later than five (5) days after the [Town/City/Agency]’s decision has been communicated to the aggrieved party. 9. If any provision of this agreement is held to be invalid or unenforceable, the remaining provisions shall remain in full force and effect. IMPORTANT – READ BEFORE SIGNING I am an authorized agent of the organization submitting this agreement. The information provided in this agreement is true and correct. I have read and understand this agreement and agree to all of the aforementioned rules, regulations, and conditions of use. I accept all terms and conditions of this binding contract.